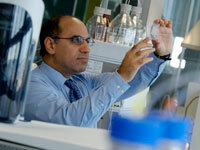 Professor Zulfiqur Ali is the new Dean of Teesside University’s Graduate Research School. Professor Zulfiqur Ali, Dean of Teesside University’s Graduate Research School. 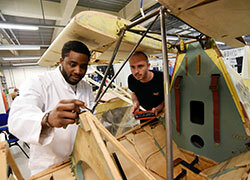 The Graduate Research School (GRS) is the focal point for all aspects of research. Its varied role includes research funding and projects, research degrees, and policy and strategy. 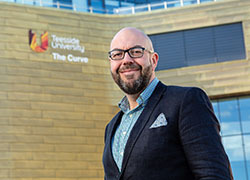 Professor Ali, 47, from Stokesley, North Yorkshire, said: 'I’m excited and very pleased to have gained this position; I was really attracted by the opportunity to work across the whole University research community. 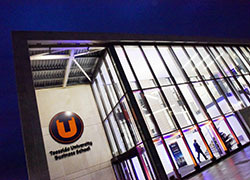 'The results of the 2008 Research Assessment Exercise showed that Teesside University has significant amounts of world-class and internationally excellent research work. 'We now need to build on our strengths, exploit new opportunities and demonstrate the value of our research. Last year the University launched five research Institutes, Digital Futures, Health and Social Care, Design, Culture and the Arts, Social Futures and Technology Futures. Professor Ali was born in Pakistan and grew up in Huddersfield. He achieved his first degree in chemistry at the former Thames Polytechnic, followed by a PhD from the University of Manchester. His first lecturing post was in the Department of Pharmacy at the University of Brighton, before joining Teesside’s School of Science & Technology in 1996 as a senior lecturer in chemistry. He later progressed to the roles of reader, professor and finally Assistant Dean for Research and Innovation. He is married with two children and in his spare time enjoys swimming and walking. Teesside University has appointed Professor Zulfiqur Ali as new Dean of its Graduate Research School. Professor Zulfiqur Ali has been appointed new Dean of Graduate Research at Teesside University. His new role includes research funding and projects, research degrees and policy and strategy.